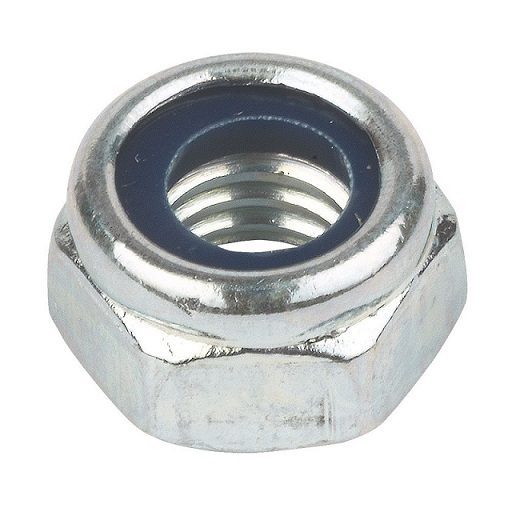 Nylon Insert Lock Nuts with a Bright Zinc Plated finish, for use with threaded rods and bolts. These nuts have a nylon sleeve which is cut into by the thread as the nut is tightened gripping it firmly in position. Available in sizes M3 up to M24. Also referred to as Nyloc Nuts, the nylon insert helps seal the bolt or rod thread against seepage of water and other liquids. Available in sizes M3 up to M24.